Did any of you take part in the Great Backyard Bird Count this year? What did you see? 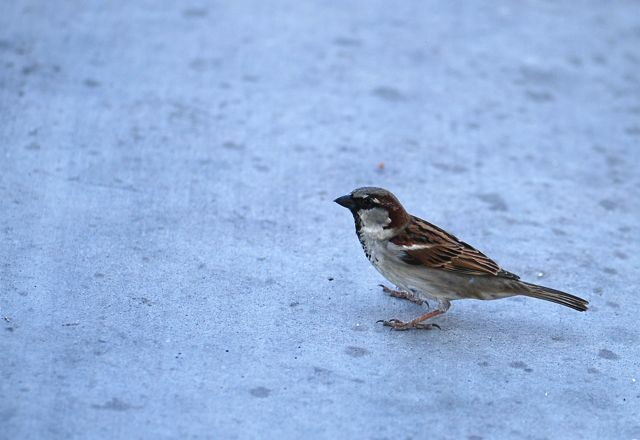 What was a very noticeable change from his count last year was a lack of house sparrows and house finches. It could have been the time of the day he counted, and the fact it was cold and rainy. But we had already noticed fewer house finches in our yard, even though we were feeding the same kinds of seeds in the same kind of feeder. Checking the previous count totals for our city in previous years we see 138 house finches were counted in 2009, 102 in 2010 and now only 31 so far this year. House finches are native to the Southwest, so we checked to see if the trend carried throughout the state. Sure enough 7,978 house finches were counted in 2009, 7,132 in 2010 and only 3,821 in 2011 (not all reports made yet). 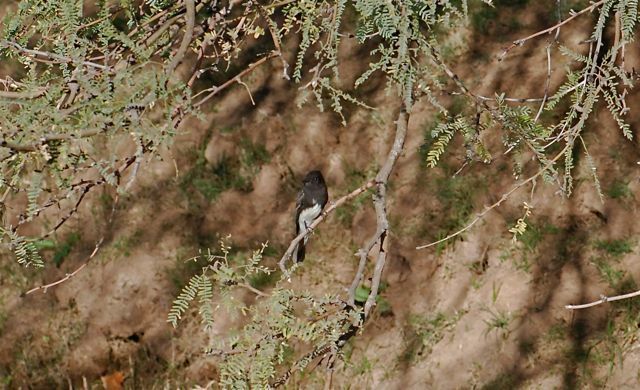 The Black Phoebe is an interesting new addition, although I noticed this morning that the male Anna's hummingbirds are giving it trouble so I don't know whether it will stay. What birds did you count this year? 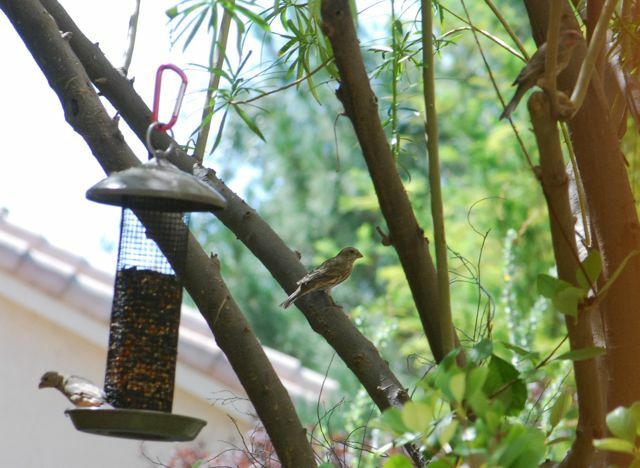 Do you have house finches? Did you search through the counts from previous years? We had two of those same birds here!